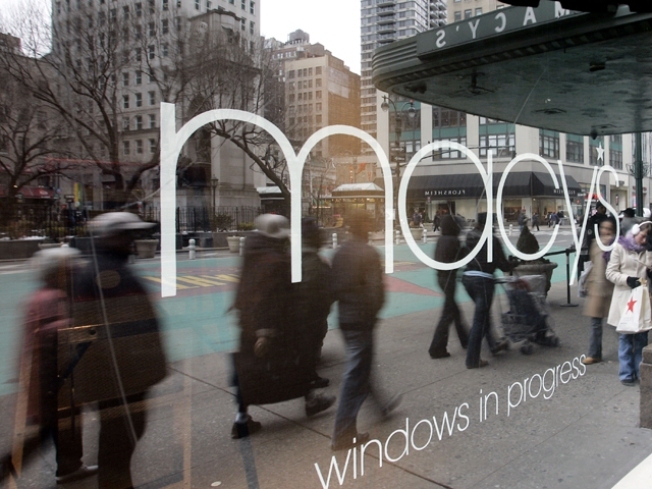 Pedestrians are reflected in a Macy's window February 28, 2005 in New York City. An electrical fire in the basement of Macy'sHerald Square sparked an evacuation of the store's flagship location. The evacuation is just a precautionary measure, and fire authorities say no injuries have been reported. FDNY officials describe the blaze as a sub-basement electrical vault fire. Power had to be cut while fire authorities investigated. Authorities had the flames under control by 1:15 p.m.